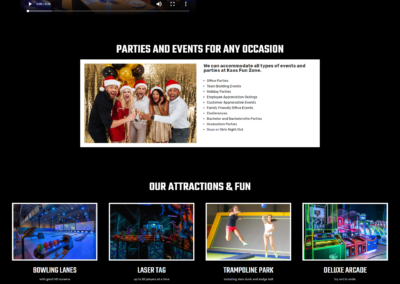 Kaos Fun Zone’s website presented unique challenges in that it required integration with their Point of Sale system to allow booking and gift card sales from the website. 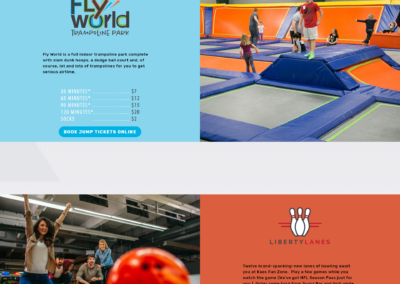 The end result, however, was a clean, modern and colorful design with the ability to sell gift cards and capture leads for email marketing. 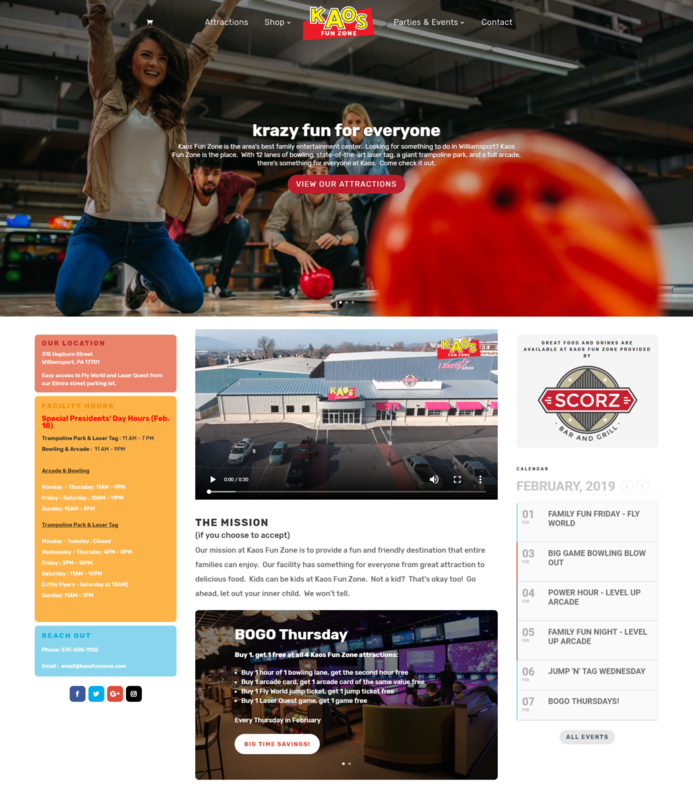 This project also included logo design. You’ll see the Kaos Fun Logo towering over the main entrance to the facility as you drive away from down town on 4th street.